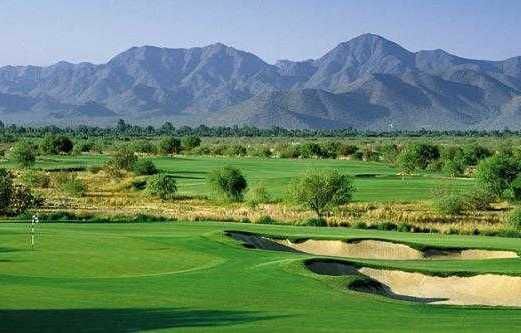 Bill Coore and Ben Crenshaw have created and designed the Talking Stick Golf Club. 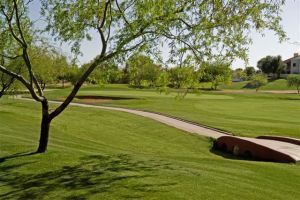 Two uniquely different courses offer many options according to the golfer’s level of playing skill. 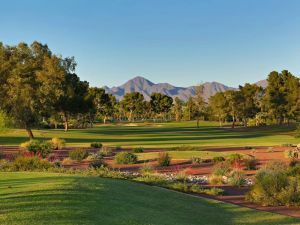 Located on and owned by the Salt River Pima-Maricopa Native American Community, the North and South courses blend with their tranquil desert surroundings. 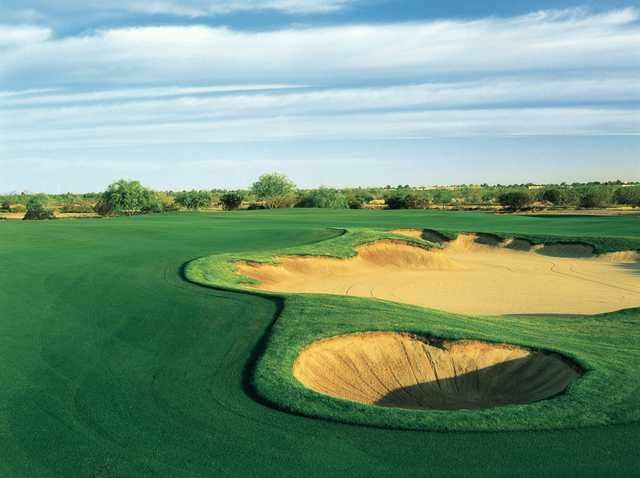 The North Course offers broad, angular holes. 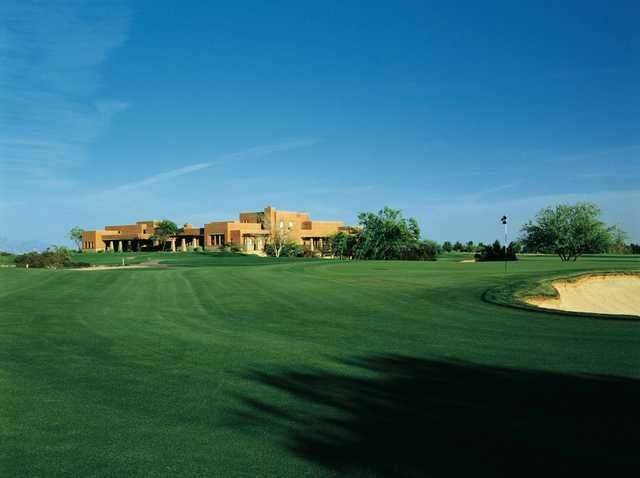 Its low-profile, slightly crowned greens and close-cropped approaches encourage running as well as aerial assaults. 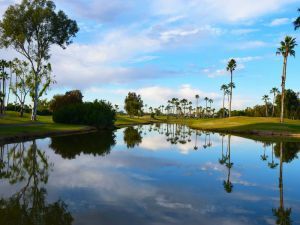 The South Course offers tree-lined fairways and raised greens at the sides providing a more straightforward style of play. 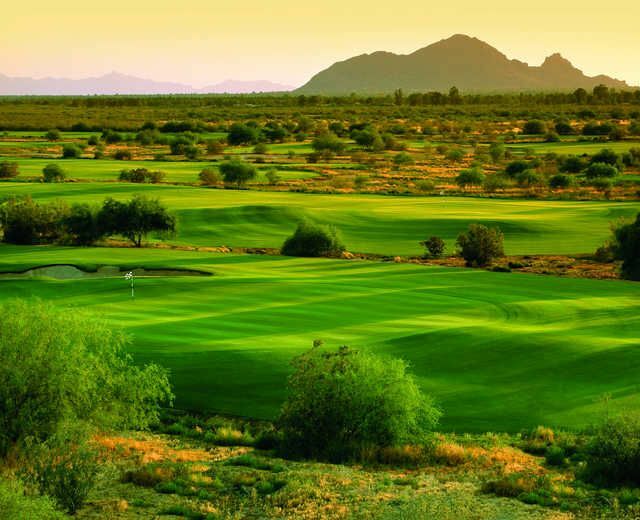 Talking Stick Golf Club’s 17,000 square feet practice facility is one of the best in the valley. 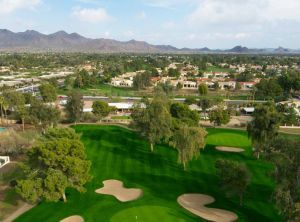 The course boasts a practice putting green that exceeds. The driving range tee pad is 150 yards wide and nearly 50 yards deep, so any time of the year the turf should be some of the best around. The range exceeds 360 yards. Take Highway 101 South to the Indian Bend exit. Go left (East) at the traffic light. Continue East 1.5 miles until Indian Bend Road dead-ends, then turn left onto the drive leading to Talking Stick. Approximate drive time from North Scottsdale (near Frank Lloyd Wright and Scottsdale Road): 15-20 minutes. Take Interstate 60 to Highway 101 North. Continue on Highway 101 North to the Indian Bend exit. Turn right (East) at the traffic light. Continue East 1.5 miles until Indian Bend Road dead-ends, then turn left onto the drive leading to Talking Stick. Approximate drive time from Mesa: 30-40 minutes. Take Highway 202 East to Highway 101 North. Continue on Highway 101 North to the Indian Bend exit. Turn right (East) at the traffic light. Continue East 1.5 miles until Indian Bend Road dead-ends, then turn left onto the drive leading to Talking Stick. Approximate drive time from airport: 20-30 minutes. 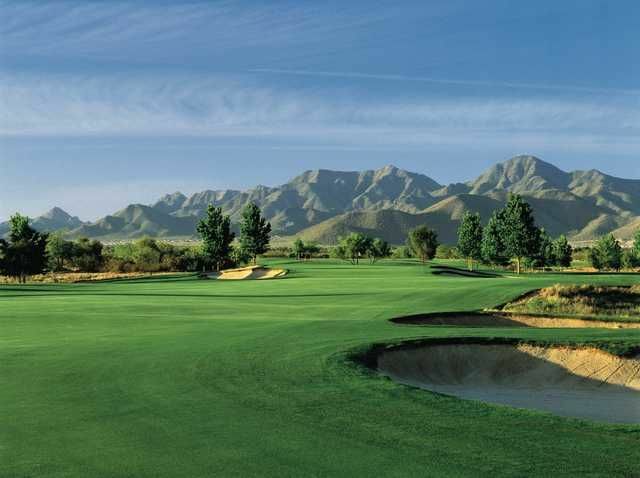 Talking Stick - North and South is not yet in our pool of Golf Courses for orders.